The far Pacific islands, though famously celebrated by travelers of past centuries as paradise on earth, are hardly touched by modern travel writers. Intent on finding what remains of the dreams, Rayner abandoned a settled city life, bought an old steel ketch and set sail, soaking up marine and island knowledge as he ploughed 50,000 wet miles. Reach for Paradise is the ocean romance of this far-ranging journey written with deep insight of the islands and their peoples, customs, history and traditions, the influences that have shaped their destiny. All interwoven with the texture of mystery and marvel expected of legendary destinations. 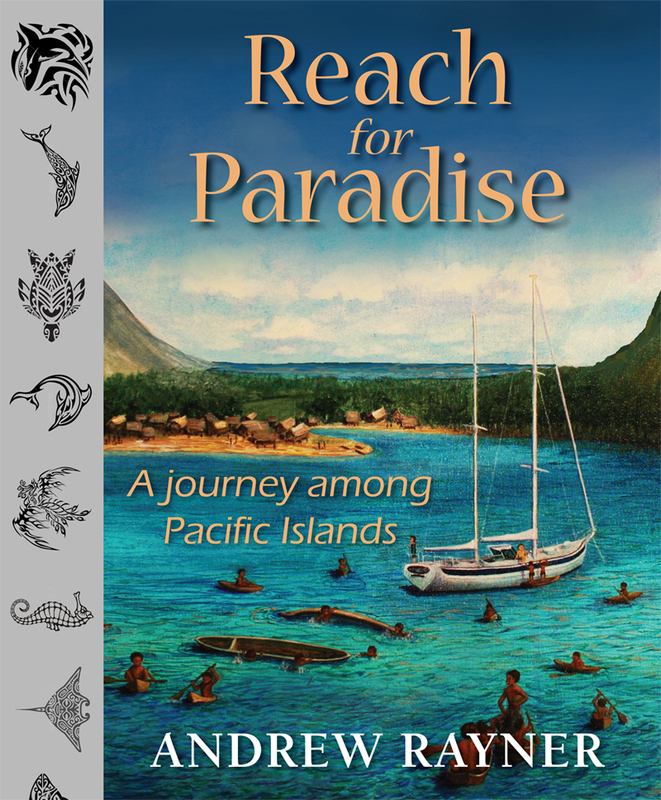 For Pacific voyagers, Reach for Paradise will prove an invaluable resource. If a guide, it is the sort that tells you why you should go rather than how to get there. And what you will miss if you can’t. It may be relished, too, by adventurous landlubbers and lovers of traditional travel literature. — BEAR GRYLLS, adventurer, author, TV star. Series include The Island, Man vs Wild, Born Survivor. — SIR RANULPH FIENNES, serial explorer and author of many books. Copyright Companionway Press. © 2014, all rights reserved. The Author. - Look inside the book. - Illustrations. - Buy Now!